Unfortunately this breed of dog has an unknown origin which makes the pug lovers unhappy but some estimates are that this breed was developed in 4th century in Asia. The pug is a really sensitive breed and can become afraid with some ones voice, however they recover fairly quickly. This breed of dogs is really strong, although they are of a small size but they can be dangerous. They are bold and devoted, they are also use for a watchdog and can protect their family and territory. They are good with children and older people. 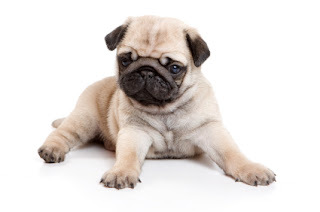 The Pug Breed have a good friendly nature and so they can be good choice to be a home dog. They do well with other pets. This breed has a single coat, the coat is wooly smooth and shinny, the hair are slightly broken with a curly tail. They are a good learners, they will not respond to any harsh or hard methods of training, training should be given to then with fairness and patience. They are lovely little dogs they do good indoors and love to go for a long walk they love to have a play session with family this breed is excellent for apartments, if sufficient exercise is given to them. They do not need much attention from their masters. Bathing should be done when mandatory and brushing should be done regularly for the maintenance of their coat. Pugs catch colds easily and are stressed by hot and cold weather. They are prone to allergies and the short muzzle contributes to chronic breathing problems, tending to wheeze and snore. Do not overfeed a Pug, as they will eat more than is good for them, quickly becoming obese and living much shorter lives. The average lifespan of a pug is about 12 to 15 years.